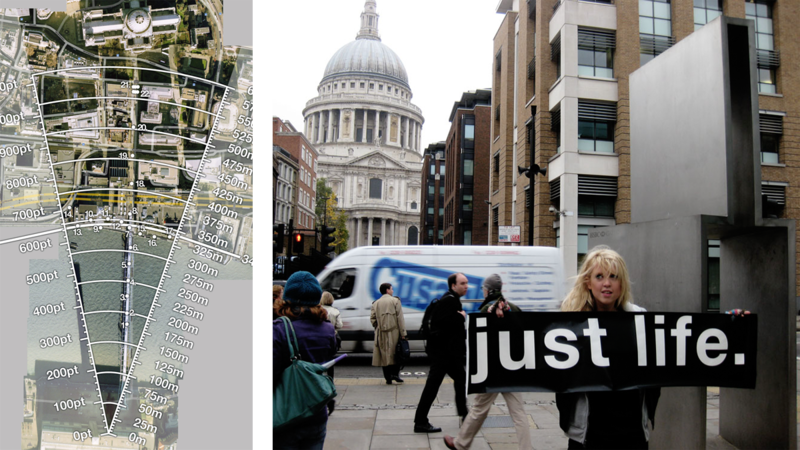 To promote the release of Stephen King’s novel Under The Dome, the final 2 sentences were exploded into paired words and hidden in a gigapixel photo (a large, composite image) of London City, beneath St. Paul’s dome. 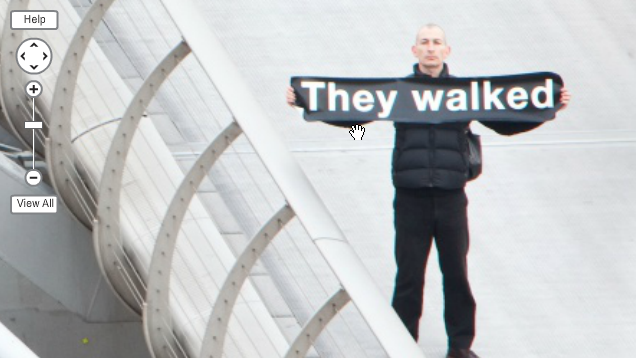 The words were not super-imposed graphically, but were instead held by volunteers positioned around the Thames north bank. Fans of the fiction writer were challenged to decode the sentences with the chance to win a pre-released copy of the book. We played a consulting and creative logistics role in the activity, making sure everything came together on the day. 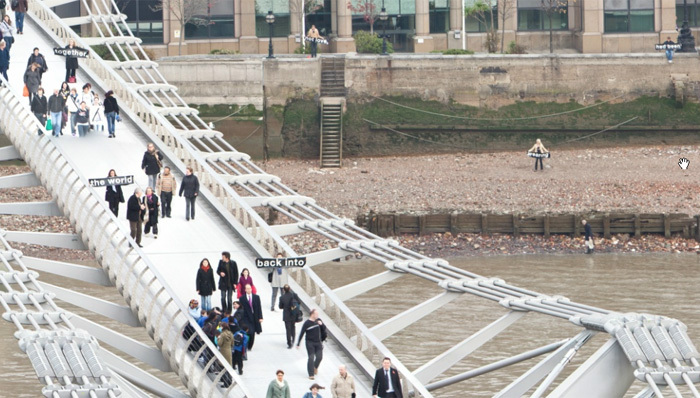 The gigapan camera was positioned on a viewing platform at the Tate Modern. The diagram below shows how point sizes were calculated, so they would appear equally sized from that position.